What Are the Health Effects of Combustion Products? The major categories of products resulting from combustion can be listed as carbon monoxide (CO), nitrogen oxides (NOx), particulate material, and polynuclear aromatic hydrocarbons (PAH). Carbon monoxide (CO) is an odorless, tasteless and colorless gas. Nitrogen oxides (NOx) includes nitrogen compounds NO, NO2, N2O, OONO, ON(O)O, N2O4 and N2O5. All are irritant gases, which can impact on human health. Particulates represents a broad class of chemical and physical particles, including liquid droplets. Combustion conditions can affect the number, particle size and chemical speciation of the particles. Polynuclear aromatic hydrocarbons (PAH) concentrations are usually low indoors. PAH concerns stem from their potential to act synergistically, antagonistically or in an additive fashion with each other and other contaminants. The chemical composition and concentrations of these compounds vary with combustion conditions. Combustion products are released under conditions where incomplete combustion can occur, including: wood, gas and coal stoves, heaters and cooking surfaces; unvented kerosene heaters or appliances; unvented grilles; portable generators; fireplaces under downdraft conditions; and environmental tobacco smoke. Vehicle exhaust is a primary source, particularly from underground or attached garages, as well as from the outdoor air. The impact on human health varies with the category of combustion product; so they are treated separately below. Carbon monoxide (CO) has about 250 times the affinity for hemoglobin than oxygen has. When carboxyhemoglobin (COHb) is formed, it reduces the hemoglobin available to carry oxygen to body tissues. CO, therefore, acts as an asphyxiating agent. Common symptoms are dizziness, dull headache, nausea, ringing in the ears and pounding of the heart. Should CO inhalation induce unconsciousness, damage to the central nervous system, the brain and the circulatory system may occur. Acute exposure can be fatal. Young children and persons with asthma, anemia, heart and hypermetabolic diseases are more susceptible. The extent to which nitrogen oxides (NOx) affect human health is unclear. The most information is available about nitrogen dioxide (NO2). NO2 symptoms are irritation to eyes, nose and throat, respiratory infections and some lung impairment. Altered lung function and acute respiratory symptoms and illness have been observed in controlled human exposure studies and in epidemiological studies of homes using gas stoves. Studies in the United States and Britain have found that children exposed to elevated levels of NO2 have twice the incidence of respiratory illness as children not exposed. Combustion particulates can affect lung function. The smaller respirable particles (less than 2.5 micron μm in size) present a greater risk as they are taken deeper into the lungs. Particles may serve as carriers of contaminants, such as PAH, or as mechanical irritants that interact with chemical contaminants. The health effects of polynuclear aromatic hydrocarbons (PAH) are very difficult to determine or predict. PAH’s propensity to act in concert with other contaminants complicates any effort to attribute singular cause and effect. It is known that some PAHs are carcinogens while others exhibit co-carcinogenic potential. The basic safety relay arrangement uses an internal latching sequence to set up two or more output relays into an energized condition when all circuits are healthy and after a reset contact has been closed. The relays remain latched in until the input circuit is broken either by the guard door switch or by the E-stop. A typical hardware-based implementation of a guard door safety function will link the guard door switches in series with an E-stop switch to provide an input to a latching relay. The latching relay will trip when the guard door is opened or when the E-stop is pressed. To improve the safety of the circuits an additional relay is used to prevent the latching relay from being reset unless the safety control circuits are healthy (i.e. free of dangerous faults). 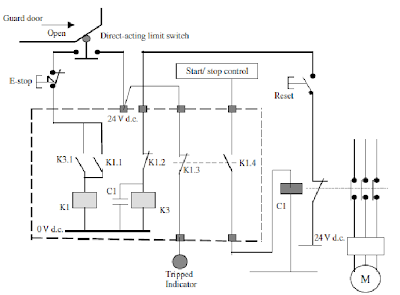 For example, in figure below a simplified safety relay is shown where K3 is a relay that must be energized before the latching relay K1 can be set. K3 will not energize unless the power control contactor(s) C has been released, proving that it is not held in by another stray circuit or by a mechanical defect. In practice relay K1 is usually duplicated by a second channel or redundant relay K2 and both relays must be energized and latched to close the output circuits. K3 is often arranged with multiple contacts and expansion units to enable many drives to be interlocked from the same logic. • Checks on the state of input signals. They must be safe before latching reset is allowed. 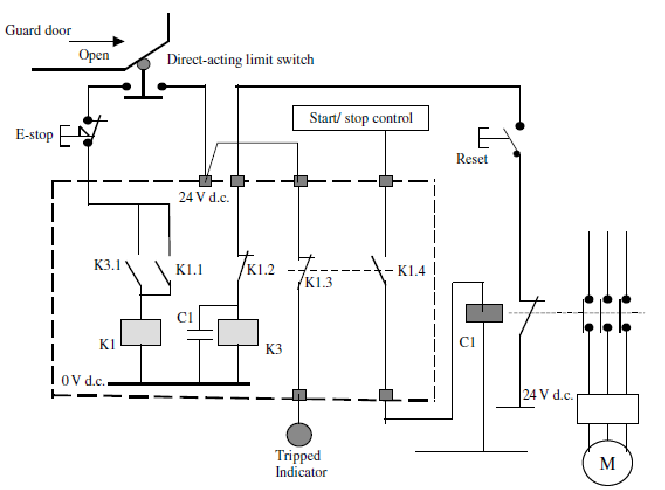 • Detection of stuck contactors through monitoring of the auxiliary contacts. • Wiring faults in the input and output circuits. • Timing and logic for controlling the reset actions, etc. The safety monitoring relay modules ensure that the safety interlocks and E-stop functions are able to operate independent of the basic control system actions at all times. This is one of the most essential features of any safety control system. Arc-flash boundaries need to be established around electrical equipment such as switchboards, panel boards, industrial control panels, motor control centers, and similar equipment if you plan to work on or in the proximity of exposed energized components. Parts are considered exposed if they are energized and not enclosed, shielded, covered, or otherwise protected from contact. Work on these parts includes activities such as examinations, adjustment, servicing, maintenance, or troubleshooting. Equipment energized below 240 V does not require arc-flash boundary calculation unless it is powered by a 112.5 KVA transformer or larger. The arc-flash boundary is the limit at which a person working on energized parts can be standing at the time of an arc-flash without risking permanent injury unless they are wearing flame-resistant clothing. Permanent injury results from an arc-flash that causes an incident energy of 1.2 calories/centimeter2 (cal/cm2) or greater and causes a minimum of second-degree burns. This distance can only be effectively determined by calculating the destructive potential of an arc. First you must determine the magnitude of the arc based on the available short circuit current, then estimate how long the arc will last based on the interrupting time of the fuse or circuit breaker. Finally, you will need to calculate how far away an individual must be to avoid being exposed to an incident energy of 1.2 cal/cm2. It may sound like a lot of math and factoring in of potentials, but believe me the extra time you take to determine the arc flash boundary is well worth your safety and well-being. Calculating flash protection boundaries for systems over 600 V requires performing a flash hazard analysis coupled with either the NFPA 70E Hazard Risk Category/PPE tables or the Incident Energy Formula. To perform an arc flash hazard analysis, you need to start by gathering information on the building’s power distribution system. This data should include the arrangement of components on a one-line drawing with nameplate specifications of every device on the system and the types and sizes of cables. The local utility company should be contacted so that you can get the minimum and maximum fault currents entering the facility. Next you will want to perform a short circuit analysis and a coordination study. You will need this information to put into the equations provided in NFPA 70E or the IEEE Standard 1584. These equations will give you the flash protection boundary distances and incident energy potentials you will need to determine your minimum PPE requirements. In many ways an arc fault analysis is actually a study in risk management. You can be very conservative in your analysis and the results will almost always indicate the need for category 4 PPE. On the other hand, you can perform the analysis and make adjustments to reduce the arc fault conditions resulting in reduced PPE requirements. However, use caution when adjusting your calculations. Reducing the bolted fault current can reduce the arc fault current, but it can actually result in a worse situation. For example, if you reduce the current applied to a motor from 4000 to 1800 A, the arc fault energy is increased from 0.6 to 78.8 cal/cm2. This is the exact opposite outcome that you might expect to achieve before doing the math. Keep in mind that you are risking OSHA violations and fines if you choose nominal compliance. On the other hand, you can actually be increasing the risk of injury if you force workers to unnecessarily wear cumbersome PPE. This can also result in little or no high voltage maintenance being performed, which will eventually compromise safety and proper equipment operation. It might prove beneficial to get a registered professional engineering firm to perform arc flash hazard calculations on your behalf and have them recommend appropriate actions and the lowest appropriate category of PPE. In general, the cause of most plant fires is the exposure of a fuel to a source of heat. Where the fuel, such as accumulations of trash or debris, is not necessary plant operation, fires can be prevented by removal of the fuel. Where the exposed fuel, such as raw materials or finished products, is essential, the source of heat must be protected or controlled. Some of the most common sources of heat and fuel that cause plant fires are heating and cooking equipment, smoking, electric equipment, burning, flammable liquids, open flames and sparks, incendiary (arson), spontaneous ignition, gas fires, and explosions. These sources of heat are summarized here. Defective or Overheated Equipment. This includes improperly maintained or operated furnaces, smoke pipes, vents, portable and stationary heaters, industrial commercial furnaces, and incinerators. Chimneys and Flues. Fire can arise from ignition of accumulated soot or inadequate separation from combustible material. Hot Ashes and Coals. These can cause problems when improper disposal or disposal in combustible containers or with combustible debris occurs. Improper Location. This can mean installation too close to combustible or accumulation of combustibles near an appliance. Wiring and Distribution Equipment. These include short-circuit faults, arcs, and sparks from damaged, defective, or improperly installed components. Motors and Appliances. These include careless use, improper installation, and poor maintenance. Storage and Handling. These hazards include careless spills, leaking fuel, and overturned tanks. Inadequate Safeguards. Fires can be started by improper storage containers or facilities, improper electrical equipment near open processes, or improper bonding and grounding of transfer processes. Trash and Rubbish. Burning trash and rubbish can furnish the fuel for accidental ignition; careless burning ignites other material. Sparks and Embers. Problems include ignition of roof coverings by sparks from chimneys, incinerators, rubbish fires, locomotives, etc. Welding and Cutting. Hazards include ignition of combustibles by the arc or flame itself, heat conduction through the metals being welded or cut, molten slag and metal from the cut, and sparks. Friction, Sparks from Machinery. Friction heat or sparks resulting from impact between two hard surfaces are a hazard. Thawing Pipes. Open-flame devices are a hazard when used in the dangerous practice of thawing pipes. Other Open Flames. These include ignition sources such as candles, locomotive sparks, incinerator sparks, and chimney sparks. Lightning. This includes building fires caused by the effects of lightning. Exposure. Exposure fires are those originating in places other than buildings, but which ignite buildings. Incendiary, Suspicious. These are fires that are known to be or thought to have been set, fires set to defraud insurance companies, fires set by mentally disturbed persons, and fires set by malicious persons. Spontaneous Ignition. This means fires resulting from the uncontrolled spontaneous heating of materials. Gas Fires and Explosions. These are fires and explosions that involve gas that has escaped from piping, storage tanks, equipment, or appliances and fires caused by misuse or faulty operation of gas appliances. Smoking. The use of smoking materials in flammable or explosive atmospheres, or discarding smoking materials in combustible debris. Through the years, body odor and tobacco smoke were the prime factors in assessing the perceived quality of the indoor air. Cleanliness has not always been next to Godliness. The decline in the practice of bathing during the Middle Ages, which persisted through the Renaissance, can be attributed to the attitude of the Christians toward cleanliness. More frequently the lack of personal hygiene during the Renaissance was an economic concern. Poor people worked and slept in the only clothing they owned. While the rich owned more changes of clothes, there is little evidence that they were laundered between wearings. This historical perspective helps explain the current emphasis upon the occupant as the primary pollution source. This has resulted in occupant population driven ventilation rates. Smoking tobacco has alternately been accepted and rejected by society and the law. King James I was the first to denounce the habit as a “corruption of health and manners.” During the 17th century, most of Europe severely penalized or forbade the consumption of tobacco. In 1911, 14 states prohibited cigarettes for moral and/or health reasons. Today these concerns are reflected in the prohibitions governing the sale of tobacco to minors, advertising restrictions, and the increasing limitations on areas where smoking is permitted. Many locales have demonstrated their concerns about the potential health effects of tobacco smoke by severely restricted smoking practices in public access buildings, especially following the aborted OSHA ruling in 1994. This led to the development of sanitariums for TB rehabilitation and the use of high ventilation rates in health care facilities that were highly congested and contaminated with communicable pathogens. These three indoor air quality factors, body odor, communicable Smoke which refers to the side stream fumes and the exhaled smoke from the active smoker that becomes part of the common breathing air stream), strongly influence our standards today. The need for fresh air has historically been measured in the need to counteract these human-generated pollutants; thus, the common ventilation requirements are for so many cubic feet of air per minute per occupant. The sources of many contaminants today; e.g., building materials, combustion, cleaning supplies, etc. have very little relationship to the number of occupants in a building. As we move into more modern times, it becomes clear that indoor air quality has had its own “Back to the Future” scenario. With the development of the first nuclear powered submarine in 1954, submarines suddenly had the capability to remain submerged for weeks (or months) at a time. This required a means of controlling, cleaning and revitiating the quality of indoor air. Through the use of special ventilation and filter systems, air conditioning, chilled water systems, main oxygen supply, CO2 removal, CO-H2 burners and atmosphere analyzing systems, the internal air in a modern submarine can be maintained at a designated quality level. The designers of the Nautilus’ environmental system were ahead of today’s building designers by nearly half a century. More recently these advancements have again been illustrated by the space shuttles in which comfortable and safe environments have been designed, installed, and maintained in outer space. Thus, the technology currently exists to create acceptable and safe indoor environments without access to fresh outdoor air. Features: These devices comprise two separate elements: a switch body and actuator tongue. Tongues are metal probes specially shaped to fit into the switch rather like a key. These are to be fitted to edge of a sliding door or on to a removable guard. When the tongue enters the switch body it engages a mechanism that closes or opens internal electrical contacts. The mechanism is designed to prevent easy bypassing or ‘cheating’ of the switch since the tongue is coded like a key. Usually these types have self-ejecting spring-loaded mechanisms so that the tongue will only remain in place if it is attached to the door of the guard. If the tongue were to be removed from the door and just pushed into the switch it would not stay in place. • Can be used on sliding, hinged and lift-off guards. Advantages: Low cost, versatile, certified for safety. Almost tamper-proof if the tongue design is good. Disadvantages: Not suited to pharmaceutical applications and some food applications where good cleaning is essential. The device is mounted over the hinge-pin of a hinged guard. The opening of the guard is transmitted via a positive mode operating mechanism to the control circuit contacts. Advantages: When properly installed these types of switches are ideal for most hinged guard doors where there is access to the hinge centerline. They can isolate the control circuit within 3° of guard movement and they are extremely difficult to defeat without dismantling the guard. Disadvantages: Care must be taken on large wide guard doors as an opening movement of only 3° can still result in a significant gap at the opening edge on very wide guard doors. It is also important to ensure that a heavy guard does not put undue strain on the switch actuator shaft. This type of arrangement usually takes the form of a positive mode acting limit (or position) switch and a linear or rotary cam. It is usually used on sliding guards and when the guard is opened the cam forces the plunger down to open the control circuit contacts. Features: The simplicity of the system enables the switch to be both small and reliable. It is extremely important that the switch plunger can only extend when the guard is fully closed. This means that it may be necessary to fit stops to limit the guard movement in both directions. Advantages: Wide range of low-cost switches are available. Available in very wide range of sizes. Can be made extremely durable and rugged. Easy for maintenance crews to inspect and repair. Disadvantages: Relatively easy to defeat. It cannot be used on lift-off guards. Requires careful installation and design of strikers: For example: it is necessary to fabricate a suitably profiled cam which must operate within defined tolerances. This system can be prone to failures due to wear especially in the presence of abrasive materials or with badly profiled cams. WHAT ARE BASIC STEAM HEATING SYSTEMS? Steam has some design and operating advantages over hot water heating systems. For instance, one pound of steam at 212°F when condensed (latent heat of condensation) into one pound of hot water gives up approximately 1000 Btu per pound of steam. On the other hand, a hot water heating system with supply water temperatures at 200°F and return water temperatures at 180°F only gives up 20 Btu per pound of water (1 Btu/lb/°F). Another advantage is that steam, based on its operating pressure, flows throughout the system on its own while a pump and motor is needed to circulate hot water. In an open vessel, at standard atmospheric pressure (sea level), water vaporizes or boils into steam at a temperature of 212°F. But the boiling temperature of water, or any liquid, is not constant. The boiling temperature can be changed by changing the pressure on the liquid. If the pressure is to be changed, the liquid must be in a closed vessel. In the case of water in a heating system, the vessel is the boiler. Once the water is in the boiler it can be boiled at a temperature of 100°F or 250°F or 300°F as easily as at 212°F. The only requirement is that the pressure in the boiler be changed to the one corresponding to the desired boiling point. For instance, if the pressure in the boiler is 0.95 pounds per square inch absolute (psia), the boiling temperature of the water will be 100°F. If the pressure is raised to 14.7 psia, the boiling temperature is raised to 212°F. If the pressure is raised again to 67 psia, the temperature is correspondingly raised to 300°F. 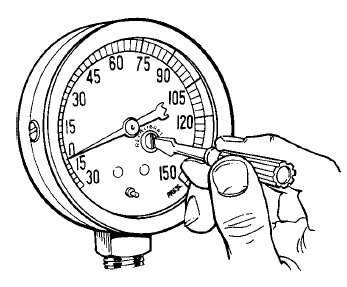 A common low pressure HVAC steam heating system will operate at 15 pounds per square inch gage pressure (psig), which is a pressure of 30 psia and a temperature of 250°F. The amount of heat required to bring the water to its boiling temperature is its sensible heat. Additional heat is then required for the change of state from water to steam. It is the sum of the sensible heat and latent heat. The total heat required to convert one pound of water at 32°F to one pound of steam at 212°F is 1150 Btu. The calculation is as follows: the heat required to raise one pound of water at 32°F to water at 212°F is 180 Btu of sensible heat. 970 Btu of latent heat is added to one pound of water at 212°F to convert it to one pound of 212°F steam. 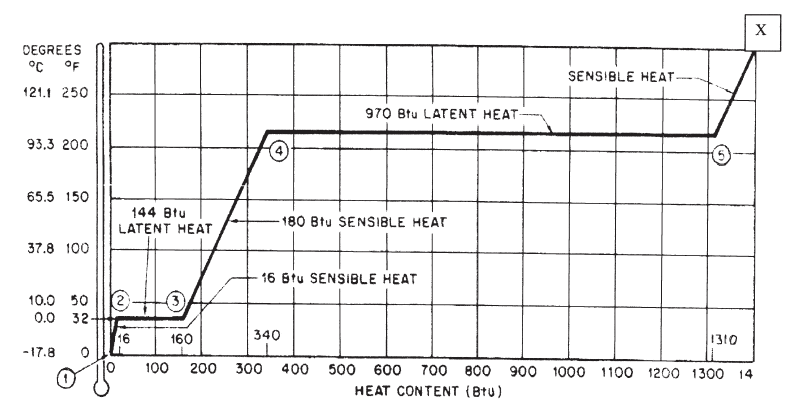 Notice that the latent heat is over 5 times greater than sensible heat (180 Btu × 5.39 = 970 Btu). The total heat is 1150 Btu (180 + 970). Point 1 to Point 2 — 16 Btu of sensible heat added to raise the temperature of the ice from 0°F to 32°F. 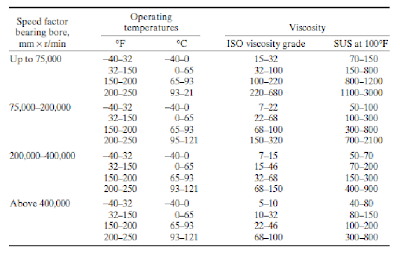 Specific heat of ice is 0.5 Btu/lb/°F. Point 2 to Point 3 — Ice changing to water (a liquid) at 32°F. It takes 144 Btu of latent heat to change one pound of ice to one pound of water. Point 3 to Point 4 — 180 Btu of sensible heat added to raise the temperature of the water from 32°F to 212°F. Specific heat of water is 1.0 Btu/lb/°F. Point 4 to Point 5 — Water changing to steam (a vapor) at 212°F. It takes 970 Btu of latent heat to change one pound of water to one pound of steam. Point 5 to Point X — X amount of Btu of sensible heat added to raise the temperature of the steam from 212°F to X°F. 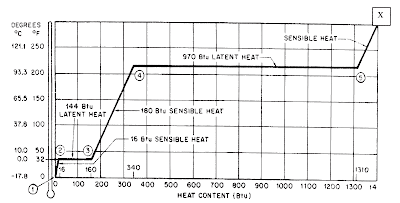 This is called superheating the steam and the result is “superheated steam.” For example, if the final temperature of the superheated steam is 250°F then 19 Btu of sensible heat would have to be added (250°F – 212°F = 38°F. 38°F × 0.5 Btu/lb/°F specific heat for steam × 1 lb of steam = 19 Btu). About half the coal presently mined in the United States is cleaned mechanically to remove impurities and supply a marketable product. Mechanical mining has increased the proportion of fine coal and noncoal minerals in the product. At the preparation plant run-of-mine coal is usually given a preliminary size reduction with roll crushers or rotary breakers. Large or heavy impurities are then removed by hand picking or screening. Tramp iron is usually removed by magnets. Before washing, the coal may be given a preliminary size fractionation by screening. Nearly all preparation practices are based on density differences between coal and its associated impurities. Heavy-medium separators using magnetite or sand suspensions in water come closest to ideal gravity separation conditions. Mechanical devices include jigs, classifiers, washing tables, cyclones, and centrifuges. Fine coal, less than 1⁄4 in (6.3 mm) is usually treated separately, and may be cleaned by froth flotation. Dewatering of the washed and sized coal may be accomplished by screening, centrifuging, or filtering, and finally, the fine coal may be heated to complete the drying. Before shipment the coal may be dustproofed and freezeproofed with oil or salt. Removal of sulfur from coal is an important aspect of preparation because of the role of sulfur dioxide in air pollution. Pyrite, the main inorganic sulfur mineral, is partly removed along with other minerals in conventional cleaning. Processes to improve pyrite removal are being developed. These include magnetic and electrostatic separation, chemical leaching, and specialized froth flotation. Coal may heat spontaneously, with the likelihood of self-heating greatest among coals of lowest rank. The heating begins when freshly broken coal is exposed to air. The process accelerates with increase in temperature, and active burning will result if the heat from oxidation is not dissipated. The finer sizes of coal, having more surface area per unit weight than the larger sizes, are more susceptible to spontaneous heating. The prevention of spontaneous heating in storage poses a problem of minimizing oxidation and of dissipating any heat produced. Air may carry away heat, but it also brings oxygen to create more heat. Spontaneous heating can be prevented or lessened by (1) storing coal underwater; (2) compressing the pile in layers, as with a road roller, to retard access of air; (3) storing large-size coal; (4) preventing any segregation of sizes in the pile; (5) storing in small piles; (6) keeping the storage pile as low as possible (6 ft is the limit for many coals); (7) keeping storage away from any external sources of heat; (8) avoiding any draft of air through the coal; (9) using older portions of the storage first and avoiding accumulations of old coal in corners. It is desirable to watch the temperature of the pile. A thermometer inserted in an iron tube driven into the coal pile will reveal the temperature. When the coal reaches a temperature of 50°C (120°F), it should be moved. Using water to put out a fire, although effective for the moment, may only delay the necessity of moving the coal. Furthermore, this may be dangerous because steam and coal can react at high temperatures to form carbon monoxide and hydrogen. The term quality may simply be defined as providing customers with products and services that meet their needs in an effective manner. TQM focuses on customer satisfaction. The three words that make up this concept—"total," "quality," and "management"—are discussed separately below. Any company or organization in pursuit of TQM must define the term quality clearly and precisely. It may be said that quality is deceptively simple but endlessly complicated, and numerous definitions have been proposed, such as "quality = people + attitude"; "providing error-free products and services to customers on time"; and "satisfying the requirements and expectations of customers". According to a survey reported in Ref. 1, 82% of the definitions indicated that quality is defined by the customer, not by the supplier. The top five quality measures identified by the respondents were customer feedback (22.92%), customer complaints (16.67%), net profits (10.42%), returning customers (10.42%), and product defects (8.33%). The approach to management is instrumental in determining companies' ability to attain corporate goals and allocate resources effectively. TQM calls for a radical change in involving employees in company decision-making, as their contribution and participation are vital to orienting all areas of business in providing quality products to customers. It must be remembered that over the years the Fortune 1000 companies in the United States have reported such benefits of employee-involvement as increased employee trust in management, improved product quality, improved employee safety/ health, increase in productivity, improved management decision-making, increased worker satisfaction, improvement in employee quality of work life, improved union-management relations, improved implementation of technology, improved organization processes, eliminated layers of management, and better customer service. Companies considering the introduction of TQM will have to see their employees in a new way, for the change in management philosophy needed to truly manage total quality is nothing short of dramatic. Furthermore, it is important that the management infrastructure lay the foundation for involving the entire workforce in the pursuit of customer satisfaction. Activity comfort needs are listed. An activity schedule is developed. Site energy resources are analyzed. Climate design strategies are listed. Building form alternatives are considered. Combinations of passive and active systems are considered. One or several alternatives are sized by general design guidelines. landscape architects often are included. The team approach is particularly valuable in assessing the strengths of various design alternatives. The architect and the consultants have very different perspectives, and when mutual goals can be clearly agreed on early in the design process, these perspectives are not only mutually supporting but can produce striking innovations whose benefits extend far beyond services to the clients of a particular building. form, as many examples in this chapter show. By the time the design development phase is reached, one of the design alternatives has probably been chosen as the most promising combination of aesthetic, social, and technical solutions for the program. A. 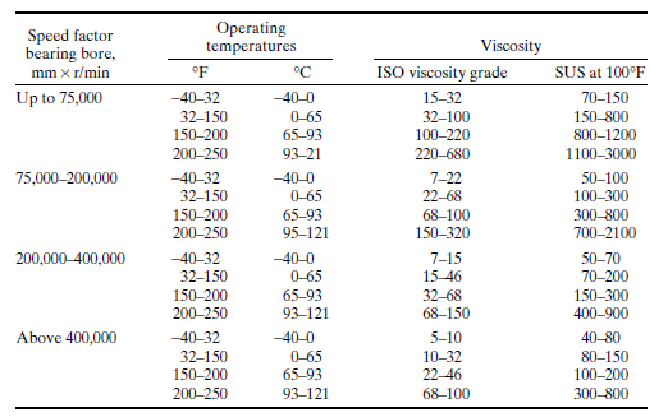 By activity, lists the range of acceptable air and surface temperatures, air motions, relative humidities, lighting levels, and background noise levels. B. Establishes the schedule of operations. A. For worst winter conditions. B. For worst summer conditions. D. Frequently, an estimate of annual energy consumption is made. IV. Selects the HVAC systems. Often, several systems will be used within one large building because orientation, activity, or scheduling differences may dictate different mechanical solutions. Especially common is one system for the all-interior zones of large buildings and another system for the perimeter zones. V. Identifies the HVAC components and their locations. B. Distribution trees—vertical chases, horizontal runs. VII. Lays out the system. At this stage, conflicts with other systems (structure, plumbing, fire safety, circulation, etc.) are most likely to become evident. Because insufficient vertical clearance is one of the most common building coordination problems with HVAC systems, the layouts must include sections as well as plans. Opportunities for integration with other systems also become more apparent at this stage: air ducts can also help distribute daylighting, act as sunshading devices, or fulfill other functions. After the architect and the other consultants hold conferences in which HVAC system layout drawings are compared to those for other primary systems (structure, plumbing, electrical, etc. ), design finalizing occurs. At this final stage, the HVAC system designer verifies the match between the loads on each component and the component’s capacity to meet the load. Final layout drawings then are completed.